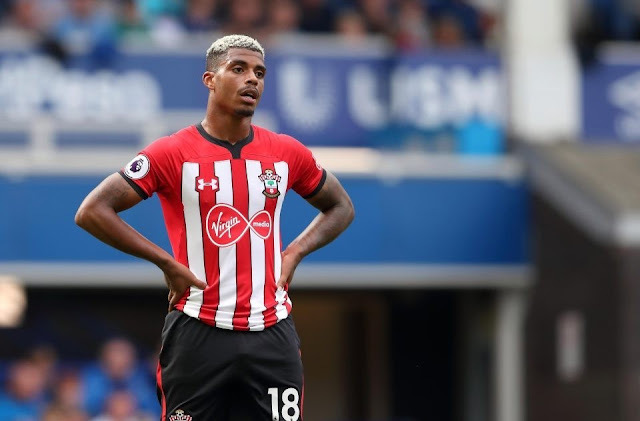 Gabonese and Southampton midfielder, Mario Lemina, who this week received a 'UK record speeding fine' of £96,000 has now had it reduced to just £2,000 after the court made a blunder. On Monday, the 25-year-old midfielder was handed 18 points on top of the 21 he already had after his rare £50,000 Mercedes was caught breaking the speed limit three times. He claimed that he did not know whether it was his brother or cousin were behind the wheel of his £50,000 Mercedes-AMG GLA45. But he admitted three counts of failing to notify police after ignoring their letters. Lemina was hit with the £96,000 fine and banned from driving for a year. In a new report by Mail Online, the court which fined him the huge sum has dramatically backtracked after its error and now reduced it by a huge £94,124. He must now pay only £2,301, just seven percent of his £32,272 weekly wage. The court's blunder also means TV presenter Ant McPartlin still holds the record for UK's biggest motoring fine after he was fined £86,000 for drink driving in April.